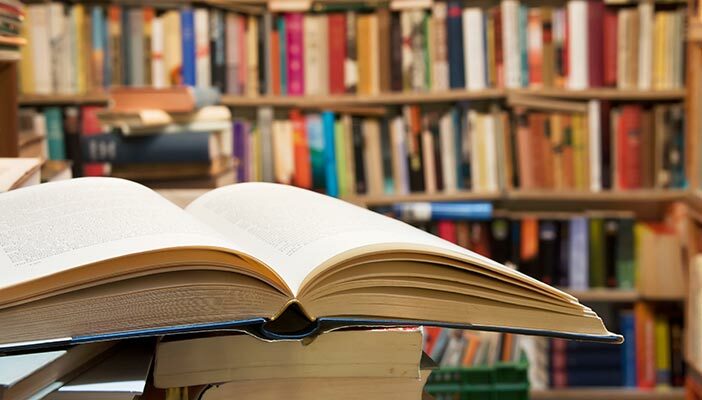 A recent report Libraries welcome everyone: Six stories of diversity and inclusion from libraries in England commissioned by Arts Council England, shows that many library services make excellent provision for blind and partially sighted people. The report was written by John Vincent of The Network, which supports libraries, museums, archives, galleries and other cultural and heritage organisations (as well as individuals) who are working to tackle social exclusion and towards social justice. John kindly agreed to us publishing this extract. Libraries’ work with blind and partially-sighted people has developed over many years. For example, public libraries were co-initiators of the Talking Newspaper movement. Since 2010, this work has been given an increased focus with the establishment of the Six Steps Promise, supported by a partnership of Libraries Connected (formerly the Society of Chief Librarians), Share the Vision (a partnership of UK libraries and library organisations that work together to improve the accessibility of library services for print disabled people) and the Scottish Library and Information Council. Many library services make excellent provision, supported by the RNIB Library, and backed up by regular training and an online tutorial. The RNIB Library plays a key role in delivering library services to blind, partially-sighted and print-impaired people. Since the Talking Books Service went free in November 2015, their entire offer (Braille, Giant Print, Moon, Music and Talking Books) is free to borrow, and they supplement the services and collections that local libraries provide. Currently, RNIB reaches over 40,000 customers across the UK and have partnership agreements in place with at least 60 local authorities, which formalise the relationship between the library services (in fact, they reach customers in practically all of the library authorities in the UK). Further information is available on the RNIB ‘Reading Choices’ page. Surrey Libraries launching PenFriend at a number of libraries (each event was also attended by Sight for Surrey, and was used as an opportunity to exhibit all the Library Service does for the visually and print impaired); and the launch at Woking Library which had attendees from the Macular Society, VIDA Training, the local talking newspaper, and pupils from the VI Unit at Woking High School. Derbyshire’s initiative is ‘Buxton and Beyond: Equipment Library for Visually Impaired Persons which is funded by the Big Lottery. The local Macular Society wrote the bid and run the whole project with Buxton Library being the place where all the equipment is stored and loaned from. Equipment includes items such as a brailler, magnifiers, screen readers, talking pens, and boom boxes (donated by Derbyshire Libraries). It is displayed in a cabinet so people can see what is available and then they can borrow it using their library card and try it out at home. A volunteer from the Macular Society also does home visits and will teach people how to use the equipment. The Home Library Assistant refers a lot of people to the volunteer and she will take the equipment out to them to try. Kent Libraries (and others) have accessibility resources available for use in libraries. These include: accessible software on the libraries’ computers; accessible computer hardware such as hi-vis keyboards or accessible mice; portable hearing loops; coloured overlays for customers with print disabilities; height-adjustable tables for some of the public computers; PenFriend (recorded devices which read out the blurb on the back of audiobooks, allowing independent browsing by customers with visual impairments); and provision of eBooks, eAudiobooks and eMagazines, which give remote access, and accessible reading options, including changing fonts or size of text. They also organise Visual Impairment Reading Groups (Kent). Portsmouth Libraries have been running services for blind and visually impaired people for over 16 years, and were a finalist for the CILIP Libraries Change Lives Award in 2015.